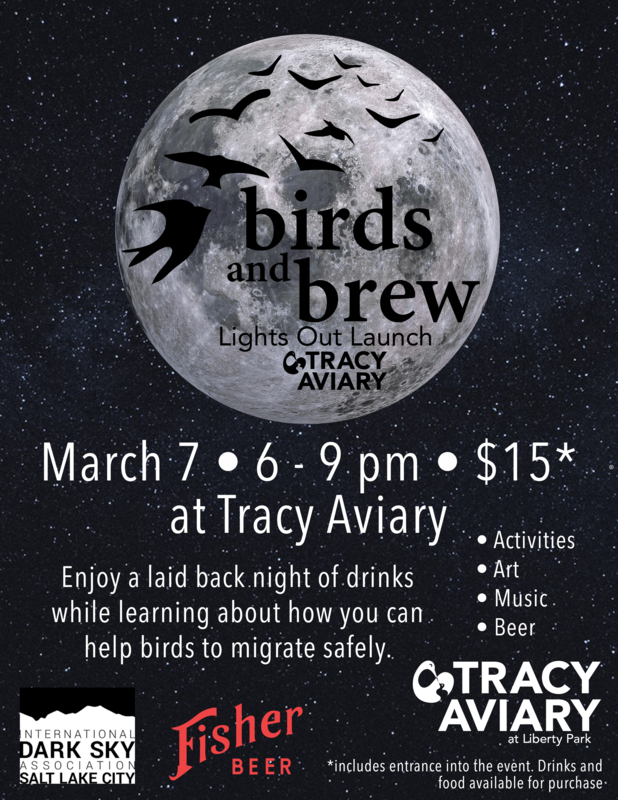 Tracy Aviary is startings this year's Birds and Brew series with a Lights out Launch! Join us for an evening of activities, art, music, and beer at Tracy Aviary to launch 2019 Lights Out Salt Lake! Light pollution can draw migrating birds into cities and cause them to collide with buildings. Learn about our citizen science program that investigates bird-building collisions, and the ways that you can help our feathered friends fly safely through our area. Tickets are $15 and include admission to the presentation, the party, and access to the Aviary grounds after it is closed to the public. Food and drinks will be available for purchase.